With over twenty years experience in the Maritime Security industry you can rely on All State Security Services to provide unequalled maritime guard and patrol services. From mobile patrols and static guards to gatehouse management and shopping centre security we provide a top-notch, dependable and professional service at very competitive rates. We are happy to customize our services to suit any job requirements. 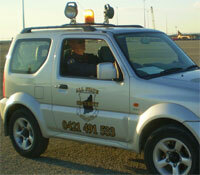 Contact us to discuss your security needs, large or small.